A fireball is another term for a very bright meteor, generally brighter than magnitude -4, which is about the same magnitude of the planet Venus as seen in the morning or evening sky. A bolide is a special type of fireball which explodes in a bright terminal flash at its end, often with visible fragmentation. 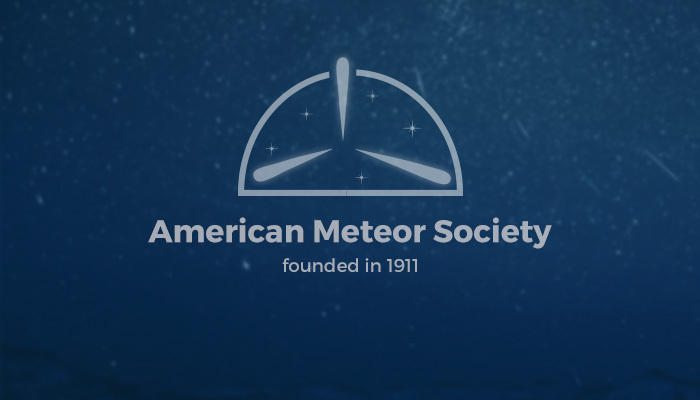 If you happen to see one of these memorable events, we would ask that you report it here to the American Meteor Society, remembering as many details as possible. This will include things such as brightness, length across the sky, color, and duration (how long did it last), it is most helpful of the observer will mentally note the beginning and end points of the fireball with regard to background star constellations, or compass direction and angular elevation above the horizon. Individual reports are shared with other interested organizations, and saved for statistical study purposes. Reports are also shared with the general public in the form of our Fireball Sightings Log, which allows visitors to monitor the fireball activity which is reported to us from across North America, over the course of a given year. Although the AMS does not pursue fireball reports with the intent of recovering meteorites, we do notify relevant planetary scientists when promising events occur in their local geographic areas, for them to pursue as they wish. The Meteoritical Society is a non-profit professional organization which promotes the study of extraterrestrial materials and their history. Indiviual members/institutions are notified when promising events occur near their local geographic areas. The International Meteor Organization’s Fireball Data Center (FIDAC) collects fireball reports from around the world for distribution and study. For more information about bolides and fireballs visit these resources. Fireball Reporting Form, report a fireball to the AMS. FAQ on Fireballs and Meteorite Dropping Fireballs (Frequently Asked Questions). Ed Majden’s Informative Web Page on Fireballs.